The location of Windows 8 AppData is in the C:\Users folder, the same place as in Vista. For those familiar with XP’s Documents and Settings, there has been a naming changes, but the underlying structure is very similar. Problem Finding AppData in Windows 8: If you cannot see the AppData folder it could be because it’s hidden from view. Check by launching Windows Explorer then click on the View menu on the ribbon, now tick ‘Hidden items’. Important: close the Explorer then reopen, refresh does not seem to work here. In Windows 8, the biggest change, compared with XP’, is in the creation of the AppData folder together with its three subfolders, AppData Local, LocalLow and Roaming. A folder called Application Data exists in Windows 8 for backwards compatibility with XP. However, you cannot double click the ‘Application Data’ in Windows 8’s links. This is because it’s merely a symbolic links, or junction point. To help appreciate this behaviour and significance of these and other arrows next to folders, let us take a time-out and try an experiment. Windows Explorer, File (menu) Open command prompt. Observe <SYMLINKD> next to All Users and <JUNCTION> next to the Default User. Reasons for moving the underlying documents folder include, low diskspace, and switching to a drive which will speed up access to your files. Incidentally, only special folders have a Location tab; ordinary folders only have 4 tabs. Right-click on the AppData folder you wish to move. 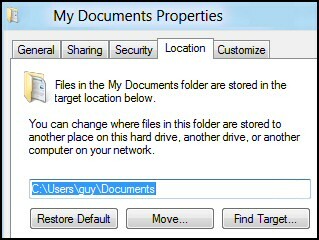 Click ‘Find Target …’ and decide which volume to house the folder; it is possible, but not recommended, to move the location to another computer. When a well designed application wishes save data it uses AppData rather than a sub-folder in the Program Files directory. Take Outlook, it uses both the ‘Local’ and ‘Roaming’ sub-folders, for example the .pst file is stored in this folder: AppData\Local\Microsoft\Outlook. Other programs use AppData for their settings, toolbars and cookies. 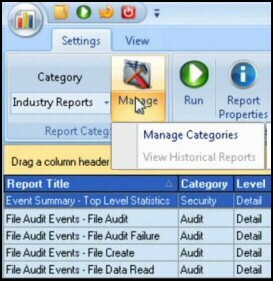 In XP programs saved their data into the Application Data folder. Tip 1: Do not compress the AppData folder, it’s just not worth the performance hit. And don’t even think about deleting this folder to save space, there are so many of your important program settings here. Tip 2: If the AppData folder is missing, have faith because I bet it really is there, it’s a question of ticking ‘Hidden Items’ see in Windows Explorer View tab. %USERPROFILE% is a variable which represents the path to the user’s profile folder. The location of the Windows 8 AppData folder is C:\Users, the same place as in Vista. A folder called Application Data exists for backwards compatibility with XP. The most important subfolder is AppData with it’s three sub-folders. 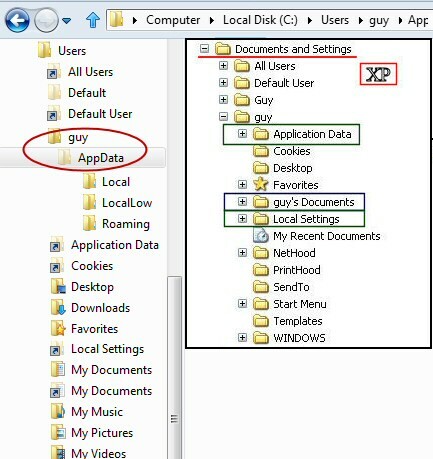 Windows 8 creates symbolic shortcut links to the old XP folders such as Application Data.